Over the last several years, a few hobbyists have made exact reproductions and drop-in equivalents for several of the most important Altair boards. 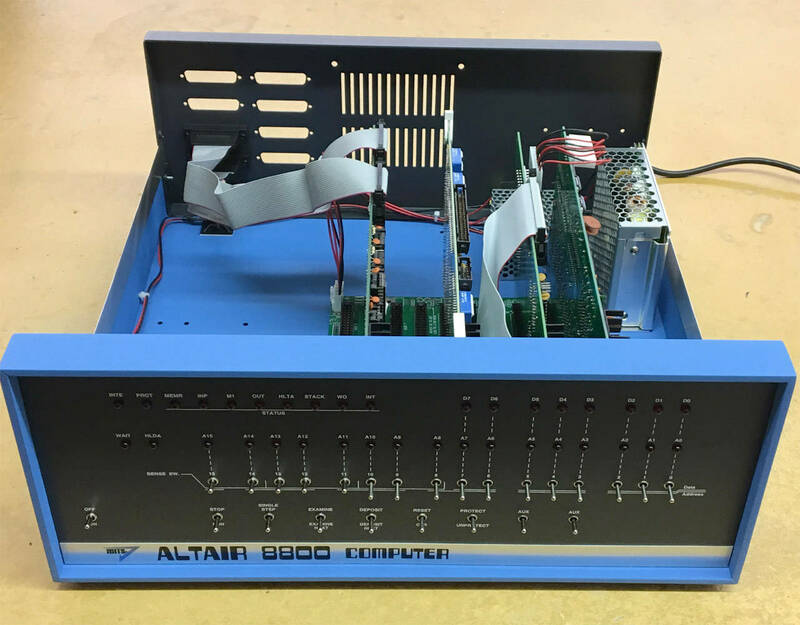 This means you can now build a fully functional Altair 8800 from scratch using only new equipment and boards. The "Altair 8800c" shown below is an example of just one way such an Altair 8800 could be built. While the system shown here uses only new boards, any mix of new and vintage Altair (and other S-100) boards could be used - just the same as with an original Altair 8800. Following is information about the equipment used to build the computer shown above. Please note, this is not a kit or a turnkey solution in any way. Also, the system as shown is certainly not the only way to put together a "new" Altair 8800c. Your final system could be a substantially different mix of new and vintage equipment. The cabinet shown above is from the Altair 8800 Clone computer. This cabinet was custom designed for the Altair Clone and not intended to house a heavy vintage computer. However, the case works well for the 8800c because it uses light weight switching power supplies and a rigid mother board. An original Altair 8800 front panel circuit board won't mount properly in the Altair Clone front panel bracket, so you'll need to use the new front panel board set mentioned below. The most recent run of the cabinet includes pre-drilled holes that line up with holes in the 9-slot motherboard, or with two of the Altair 4-slot motherboards (see below). You will have to measure and drill mounting holes for your chosen power supplies, or if a different motherboad is used. Contact me (see bottom of this page) to purchase the Altair Clone cabinet. The price of the cabinet by itself is $300. The 7.5v, 10 amp supply used to provide the 8v rail is a MeanWell HRP-75-7.5. The HRP series is one of their more expensive series, but choices are limited when looking for a 7.5v output in an enclosed supply with screw terminals. The two 15v, 1 amp supplies used to provide the +/-16v rails are MeanWell part number RS-15-15. In general, you'll want to avoid using dual output supplies because these tend to have surprisingly high minimum current requirements. The minimum load may not be met, especially on the +/-16v rails, depending on the set of boards that is loaded in the computer at any give time. These MeanWell supplies are readily available from a variety of suppliers including Mouser and Jameco. The front panel board used is a two board set that is a drop-in equivalent for the original 8800 front panel board and wire harness. This board set eliminates the hassles of the hand wired harness and fits properly in the Altair Clone cabinet. 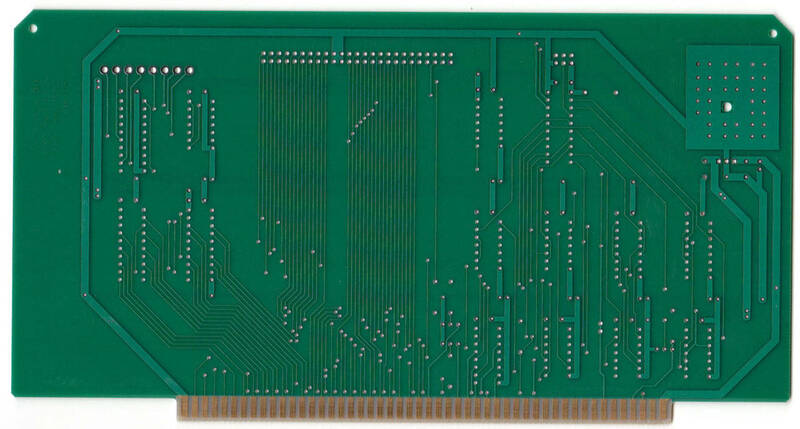 The 8800c Front Panel board set is sold as bare boards only. It is not a kit with parts nor are the boards available assembled. Contact me (see bottom of this page) to order. The boards are $40 each, $80 for the set. Additional information about the board set is provided below. Two hobbyists are providing reproductions of several Altair boards including the CPU board and the four-slot motherboard. One is in the US, the other is in the UK. These are bare boards only - not kits or assembled units. 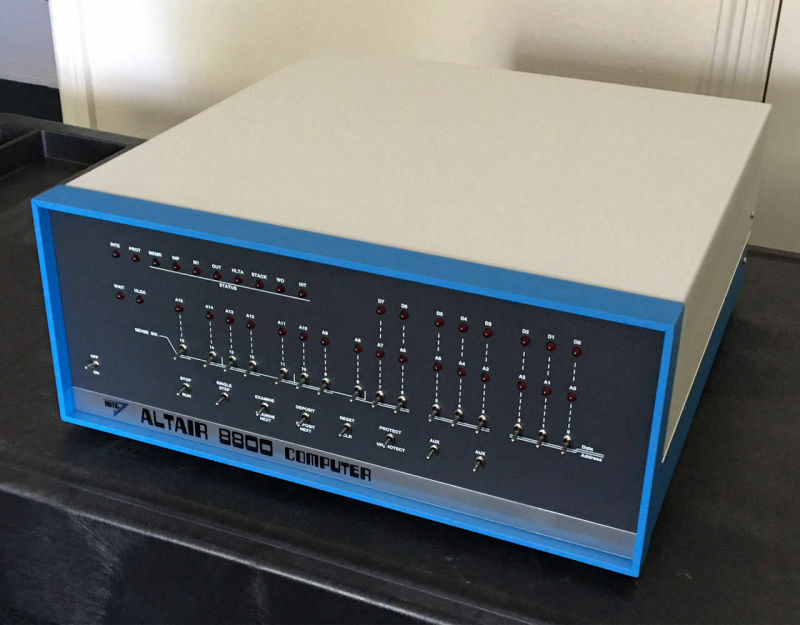 In the US, Gary Kaufman has created reproductions of several vintage Altair boards. I used one of his 8800 CPU replica boards in the Altair 8800c. Visit Gary's website here. You can also reach Gary at gkaufman followed by ASCII 0x40 followed by the-planet followed by ASCII 0x2E org. 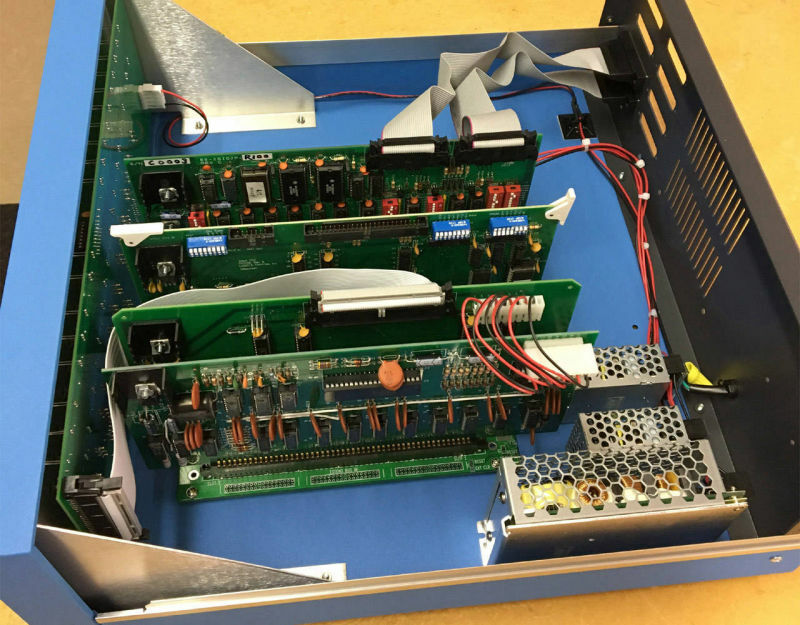 Travis Hall is offering a fully assembled and tested version of Gary's Altair 8800 replica CPU board. You can contact Travis at tnthalls followed by ASCII 0x40 followed by embarqmail followed by ASCII 0x2E com. In the UK, visit the JM Precision Components website. They have also created reproductions of several Altair boards. The Altair FDC+ floppy disk controller and the 88-2SIOJP dual serial port board shown in the computer are drop-in equivalents for the original Altair floppy controller and the original 88-2SIO board. These boards are sold fully assembled and tested and are available for purchase here. The 9-slot motherboard used in the demonstrated system is available through Todd Goodman as listed on the RetroBrew Computers website. Scroll down the page to the "S-100 Bus Boards" section and look for "Backplane (9 slot, terminated) - V4" in the table. Todd's contact information is at the bottom of the page. Here is a link to a .pdf illustration of the 9-slot motherboard. Here's a link to the manual for the 9-slot motherboard. The 9-slot motherboard has provision for both passive and active termination, a reset switch, power status LEDs, component fuses, etc. For operation with the Altair, you'll want to leave the termination and reset switch options un-stuffed. With modern switching power supplies, you can simply wire across the component fuse holes on the motherboard as well. Stuffing the power status LEDs is optional. You can also consider using replicas of the original four-slot Altair motherboard. 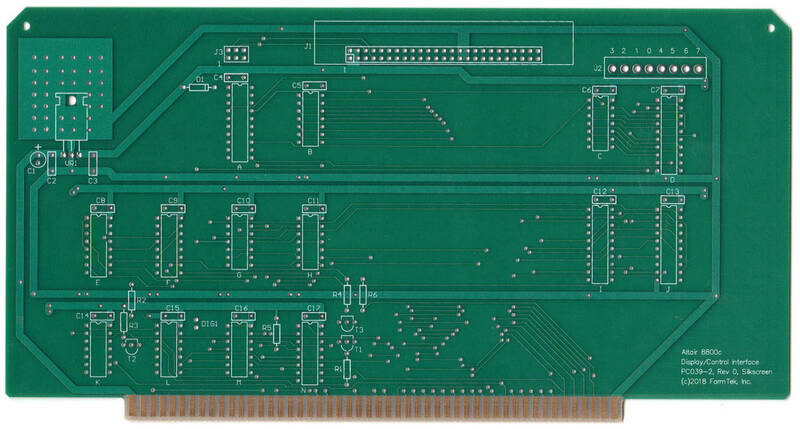 As noted above, both Gary Kaufman and JM Precision Components make replicas of the Altair four slot motherboard. The Altair 8800c Front Panel board set is a drop-in replacement for the original Altair 8800 front panel board. The new board set was created for several reasons itemized below. The board set is sold as bare boards only – the assembled versions pictured are for reference only. Additional information about the board set can be found here. The bare boards are $40 each ($80 for the set) plus shipping. To order, contact me as shown at the bottom of this page. Availability – Finding an original front panel board to restore or build an Altair is nearly impossible. The new board set provides a drop-in equivalent that is readily available. Elimination of the hand wired harness – The original front panel board picked up bus signals and connected to the CPU board through a large hand-wired harness. This harness was tedious to build and was often a reliability issue – especially if you had to remove and work on the front panel board. 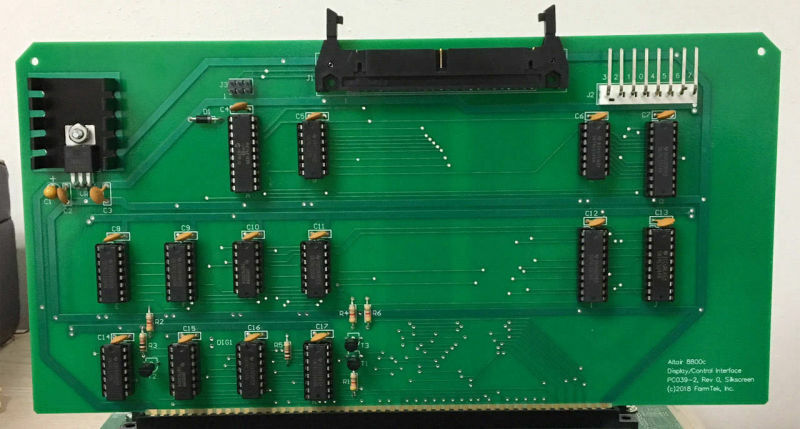 The 8800c board set replaces the hand-wired harness with a 50 pin ribbon cable that connects to a bus interface board to pick up and drive the required bus signals. 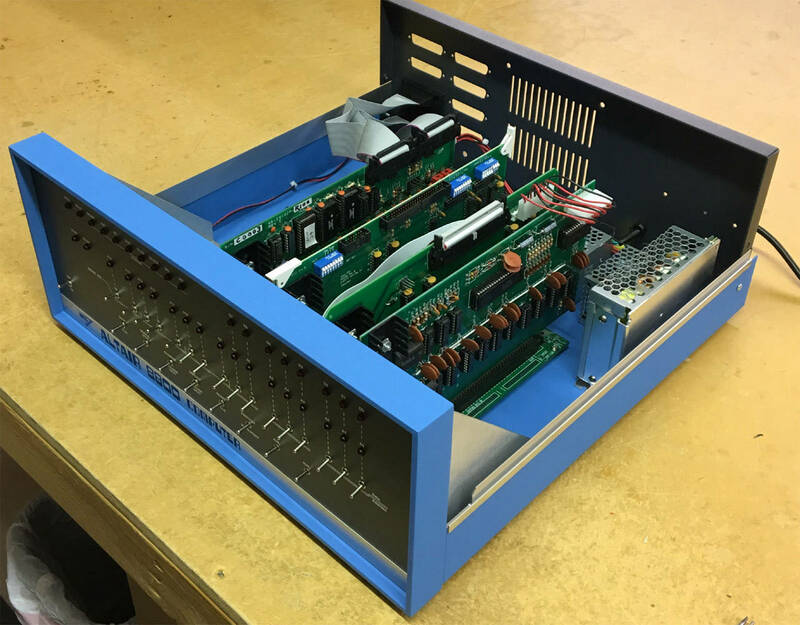 Mechanical Compatibility with the Altair 8800 Clone Cabinet – The original Altair 8800 cabinet made by Optima is no longer manufactured, and like the original front panel board, finding an original cabinet by itself is nearly impossible. As an alternative, the cabinet for the Altair 8800 Clone is still available, however, the original front panel board covers mounting points in the Clone cabinet’s front panel bracket. This new front panel board is designed to fit properly in the Clone cabinet’s mounting bracket. The new front panel board also fits in an original Altair cabinet. Logic Error Fixes – The original front panel board had a few logic problems that are fixed in the 8800c Front Panel board set. These same problems were also fixed by MITS when they designed the 8800b computer. Enhancements – In addition to duplicating the functionality of the original front panel board, the 8800c front panel board set offers several enhancements that can be optionally enabled: An output latch at I/O address 0FFh that can display on the data LEDs, auto repeat single-step at selectable rate from 1hz-8hz (similar to the 8800b), auto-jump upon power-on and/or reset which can be different for power-on than reset, and more!